Once upon a time, percolators were the brewing tool of choice for home cooks as well as caterers. Now, French presses, drip coffee makers and espresso pots have replaced percolators for most everyday users, but percolators are still the best option when brewing coffee for a crowd. You can get a 30-cup coffee urn at Costco if you’re planning to brew large quantities of coffee regularly, or you can rent one at a party rental outlet if you only need it for a single occasion. 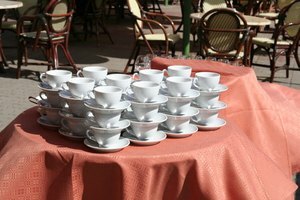 Follow the 30-cup coffee pot directions to prepare coffee for a crowd. Remove the stem and percolator basket from your percolator. Add cold water up to the measuring line for a 30-cup batch. On a 30 cup percolator, this is the top measuring line. Assemble your percolator by fitting the stem into the hole in the bottom of the pot and sliding the perforated basket over the stem. Wet the bottom of the basket and measure 2 ½cups or ½ pound of coffee into the basket. Use ground coffee in a percolator. Either buy coffee that specifies it’s percolator grind or grind the coffee of your choice using the “percolator” setting on the store’s grinder. 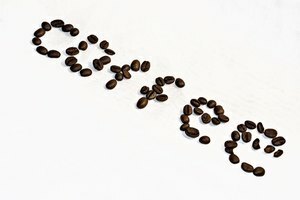 If you use regular ground coffee, be sure to use a filter. Plug in the percolator and let it percolate for about 25 minutes, until the indicator light turns green. Coffee makers designed to brew for a crowd use a different system of measurement than the drip coffee you buy at coffee shops. A “cup” of coffee in an electric coffee maker is actually only 5 ounces of coffee. If you fill the entire 30-cup pot, you’ll get only 150 ounces of coffee, which makes fewer than 20 8-ounce cups and only about 12 cups of a 12-ounce size. Take this into account if you’re percolating coffee for a crowd of serious coffee drinkers. Strong coffee. Percolators brew at a higher temperature than other methods. As a result, you get especially strong coffee, which is especially effective for keeping you awake. Brewing in quantity. There’s no easier way to brew a large batch of coffee and keep it hot for guests to serve themselves over time. Percolating urns are also relatively inexpensive, especially compared to most coffee-brewing gear on the market. Sentimentality. A percolating coffee urn is a classic machine with a classic design. It’s coffee made the way coffee used to made, tasting the way coffee used to taste. If you’re nostalgic for an old-time coffee experience, a percolating urn will take you back to a simpler, sweeter time. Bitter coffee. Along with the strength of percolated coffee sometimes comes a bitter taste. 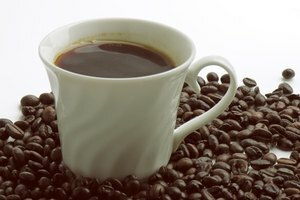 This is OK if you’ve grown up with strong, bitter coffee and never developed a taste for any other kind, but if you’re looking for nuance, you won’t be satisfied with a percolated cup. Lack of customization. 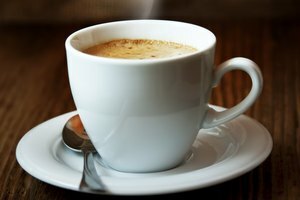 The popularity of espresso drinks since the 1980s can be traced in part to coffee shops’ ability to tailor drinks to each individual taste, from a non-fat grande to a triple macchiato. A big pot of percolated coffee is simply that: a big pot of percolated coffee. You can customize your own drink with cream and sugar, but the basic starting point is the same for everyone. Grounds in the coffee. If you’re sloppy about filling your percolator basket and don’t use a filter, some of the grounds can spill over the side or into the stem, leaving grounds in your coffee. Of course, there’s some danger of grounds in your coffee with any brewing method, but it’s more likely to happen with a percolator.